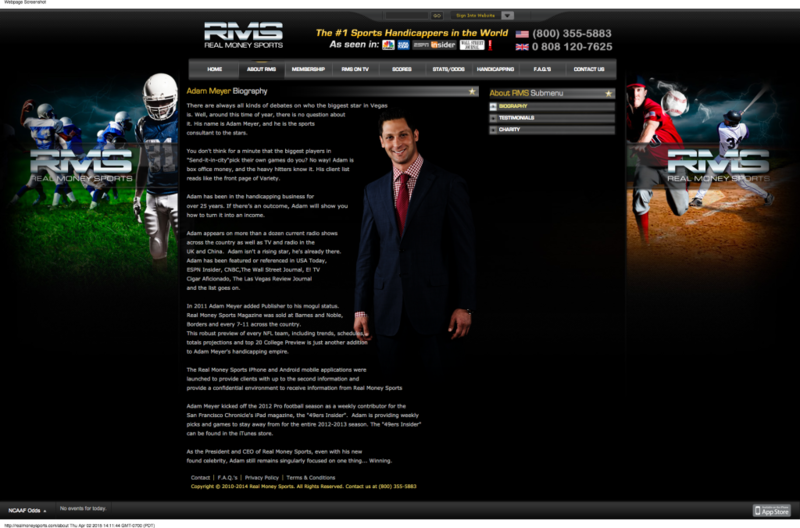 As CEO of Real Money Sports Inc. and adamwins.com, he claimed he made millions selling sports betting tips to “doctors, lawyers, actors” and other high rollers. In self-promotional interviews on E! TV and local news channels, Meyer described the high-pressure world of sports betting in a husky baritone, exuding confident charm. How else, given Major League Baseball’s tremendous aversion to gambling, did he manage to persuade the Florida Marlins to let him throw out the first pitch at a 2010 game? Meyer’s hot streak ended in December, when he was indicted on federal charges of wire fraud, racketeering and extortion. He is accused of swindling a wealthy client in Fond du Lac, Wisconsin, of $25 million through lies and threats. In 2012, Meyer allegedly forced the client to pay him $9.8 million by bringing a man with a gun to a meeting in Wisconsin to discuss a “purported gambling debt,” the indictment says. The gunman, not named in the indictment, brandished the weapon and demanded money for Meyer, the government says. Facing the prospect of decades in prison, Meyer, 43, plans an unusual plea called a public authority defense, court records show. During his alleged crime spree, he claims he was actually helping law enforcement and sports leagues investigate illegal gambling. It’s a long-shot defense that requires a defendant to show that he “relied on a public official’s directive” to engage in illegal behavior, as federal prosecutor Gregory Haanstad wrote in a filing. The government denies that Meyer was “exercising any public authority” during the alleged shakedown of his client, the prosecutor wrote. One case Meyer says he helped crack, as the Milwaukee Journal Sentinel first reported: Major League Baseball’s probe of an elaborate hoax that falsely implicated Pittsburgh Pirates pitcher Jeff Locke in fixing games. As The Center of Investigative Reporting and Sports Illustrated reported last year, the hoax was perpetrated by Arizona gambler Kris Barr. He was a youth baseball teammate of Locke who was irked because his boyhood friend had slighted him on Facebook. 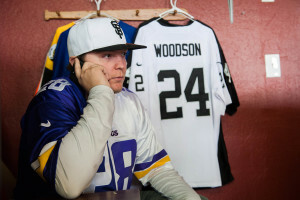 To investigators, the hoax looked real because Barr had accurately predicted the results of five straight games that Locke started at the end of the 2012 season. In truth, as he admitted when confronted, it was just luck: Barr had no inside information and hadn’t spoken to Locke since middle school. They began speaking as often as once a day, Barr claimed. By Barr’s account, Meyer claimed to be winning huge sums on the bets and promised to pay Barr $200,000. Barr said he has no idea whether Meyer actually was making big bets on Pirates games, but the Florida gambler seemed intent on contacting Locke. Meyer would ask for Locke’s cellphone number, Barr said, “and I would say, ‘I’m not going to give you any more (information) until I get paid.’ ” Barr never got any money, and contact broke off after the season ended, he said. Barr said he has no doubt that MLB investigators talked to Meyer about the hoax. But there was no way Meyer was an undercover agent, he said, and Meyer didn’t know anything Barr hadn’t already confessed. When investigators caught up with him in 2013, Barr said, “I told them everything,” including details of his odd interactions with Meyer as the hoax played out. Meyer currently is in a drug rehabilitation program, where he was sent after failing four drug tests while free on $1 million bail, according to court records. Because Meyer also has indicated that he will plead not guilty by reason of insanity, prosecutors want him to undergo a psychiatric exam before trial. At its height, Real Money Sports charged bettors as much as $250,000 for a package of betting tips, court records show. Meyer claimed he had a 130-person research staff, ex-coaches and players among them, and said he ran computer simulations of upcoming games to fine-tune betting odds. He claimed a 60 percent win percentage. He’s been in trouble before. In 1995, he served three months in prison after pleading guilty in a federal extortion case in Louisiana, records show. As Sports Illustrated reported in 2013, when disgraced University of Miami booster Nevin Shapiro confessed to betting on inside information about the Hurricanes football team, he said he placed bets with Meyer. Last fall, after an auto accident in Florida, police found oxycodone, methamphetamine and $3,000 in Meyer’s car. 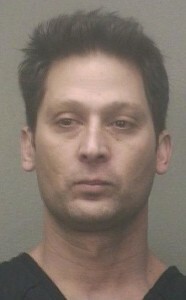 He’s facing a separate trial on drug charges. Clad in a black Marlins jersey, Meyer threw out the ceremonial first pitch before a June 2010 game against the Texas Rangers. A YouTube video shows that the ballpark announcer identifies him by name but doesn’t mention that he is a professional gambler. For most of its history, of course, gambling has been anathema to baseball: Brooklyn Dodgers manager Leo Durocher once was suspended for a year for associating with gamblers; retired Hall of Famers Mickey Mantle and Willie Mays were banned from the game for a time because they took public relations jobs with casinos. A Marlins spokesman hasn’t responded to a call seeking information about how Meyer ended up throwing out the first pitch at a game. For people in the business, Meyer’s arrest is a stunner, said Barr, the Arizona handicapper. Freelance writer Brian Tuohy contributed to this story. It was edited Andrew Donohue and copy edited by Nikki Frick.